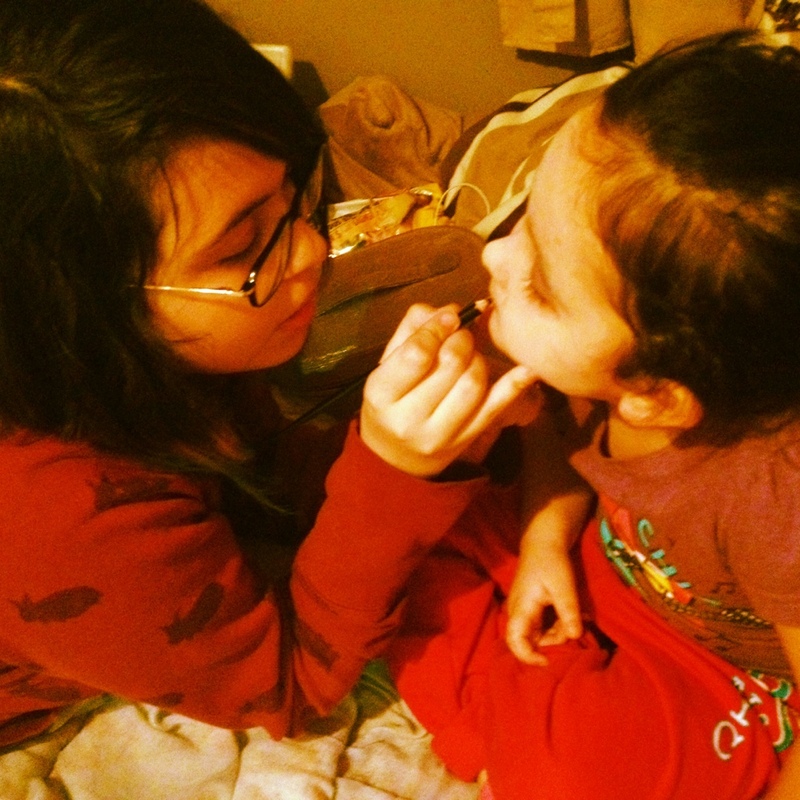 The make up make up moments, Moms live for. The moments you catch the teen and the toddler sharing in a moment of their own. Theres nothing like feeling like the outsider in such a special way. Grateful for the love these siblings have for each other today.